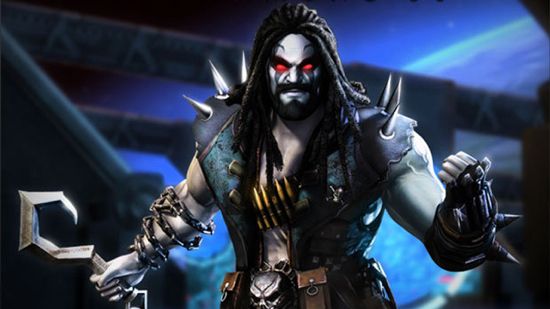 After a bit of speculation, it’s been confirmed that Lobo will be the first character available as a DLC for Injustice: Gods Among Us. To In fact, Warner Bros. Interactive Entertainment released a gameplay video today featuring Lobo, just to make sure everyone knows he’s coming. Of course, we’ve got the trailer for you as soon as it came to us. In short, it’s pretty awesome. Soon to get a bit more awesome with the inclusion of one of our favorite characters. Check out the gameplay fotage after the break. Lobo will be available for download beginning May 7th. This week marked one of the biggest decision making events in recent geek history, as both NetherRealm’s Mortal Kombat reboot and Valve’s sequel to the hit game Portal both hit gaming stores on the same day! Needless to say, this made quite a quandary for most gamers that couldn’t afford $120 for both games. Both have an intense single player and online multiplayer aspect, so there’s the possibility of missing out on what your friends are playing either way. What is one to do? Buy Mortal Kombat and listen to all of his friends gush about GLADOS and all of her issues in Portal 2? Or pick up the latter and miss out on bone-crunching action and braggability rights when whupping your online pals in a deathmatch? Well, rather than solve the problem, the guys over at The Game Station offered a third alternative…Portal Kombat! Check out what we’re talking about after the jump, and pick up either Portal 2 or Mortal Kombat (or both!) in stores today.